The book is a memoir of how a skeptical, fast-talking New Yorker became Thich Nhat Hanh's editor, turned forty, realized she was aging, and slowly and reluctantly started to absorb mindfulness practice and grow up. Scenes with Thich Nhat Hanh and the author’s two vividly exuberant older parents, illustrate how the author adapts mindfulness techniques for the busyness of her life, without losing her edge. With honest and vivid stories about dealing with difficult relationships with family members, death, illness, vanity, exhaustion, and creating a safety net of joy, the author explores and offers guidance for three key mindfulness practices: Knowing When You're Available and When You're Not; Full-Attachment Living; and Interbeing (Other People are Not a Hobby). 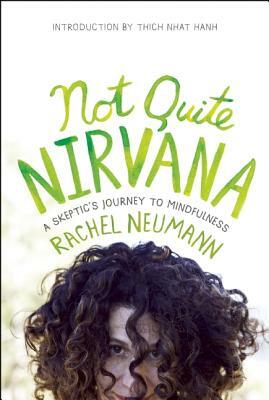 Rachel Neumann is a Bay Area-based writer whose work focuses on civil liberties, human rights, mindfulness, and the intersection of parenting and progressive politics. She is a contributing writer to AlterNet.org and her work has appeared in The Village Voice, The Nation, Dissent Magazine and many other national and local magazines. She is also a contributor to the anthology The Battle of Seattle (Soft Skull Press) and the co-author of Healing (Parallax Press). She is the editor for Zen Master Thich Nhat Hanh and blogs regularly at www.peaceandsleep.org.